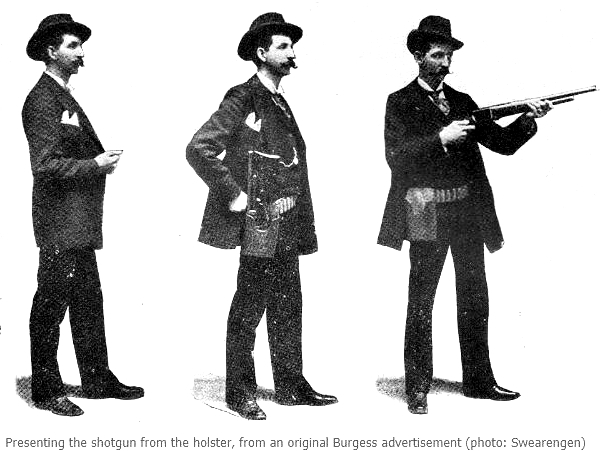 The "Burgess" was the brainchild of Andrew Burgess and was patented in January of 1893 and debuted on the market in 1894. 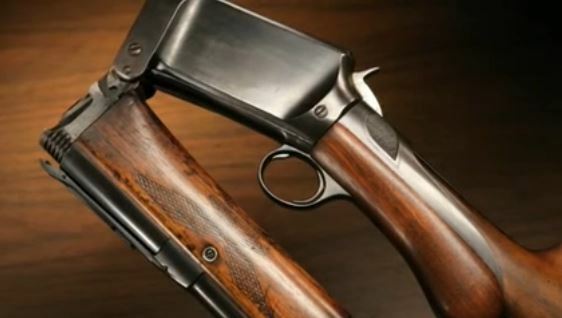 What made it unique, was that this 12 gauge slide action repeater shotgun, with a 19.5" barrel, folded neatly in half. I'm sure that Clyde Barrow would have loved to have gotten his hands on this beauty! Wouldn't have taken up much room on the front seat. 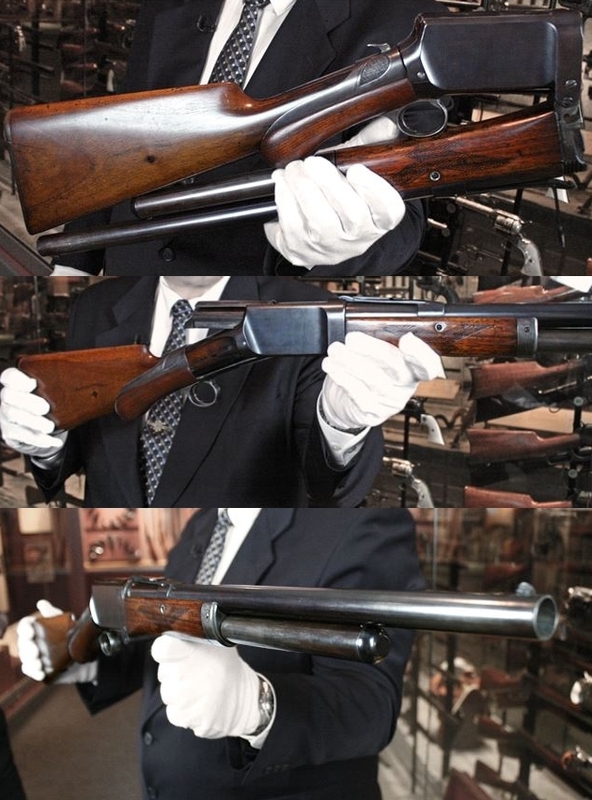 These shotguns were manufactured and sold from 1894 until 1899 by the Burgess Gun Company in Buffalo, New York. 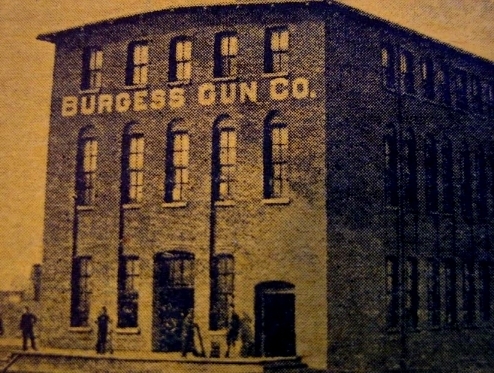 In 1899 Burgess sold his company and factory to the Winchester company, who then shut down the factory to eliminate their competition.